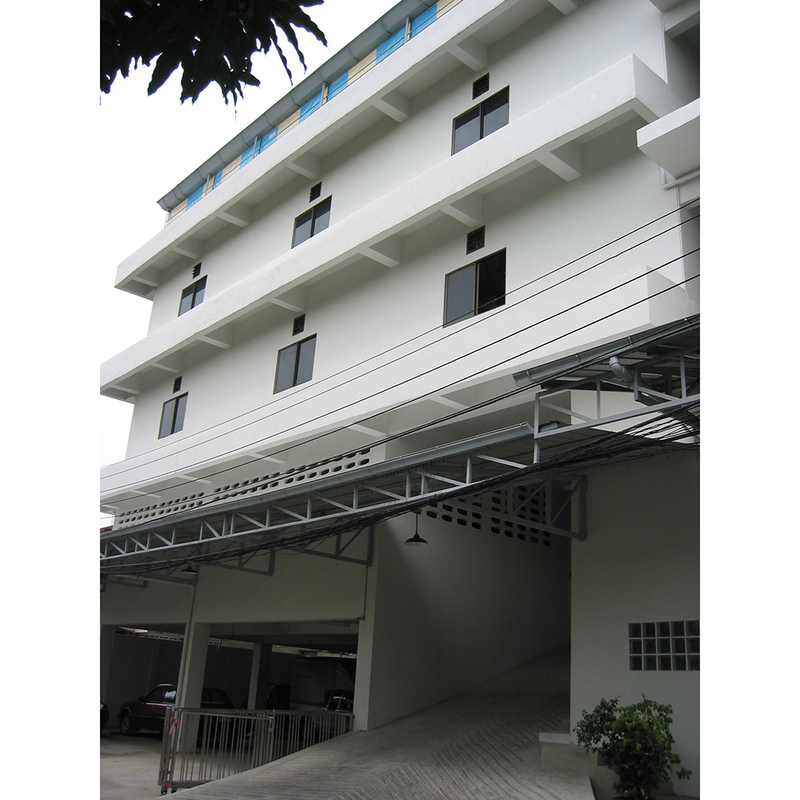 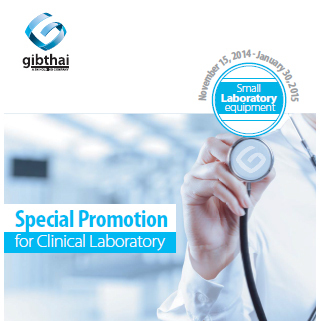 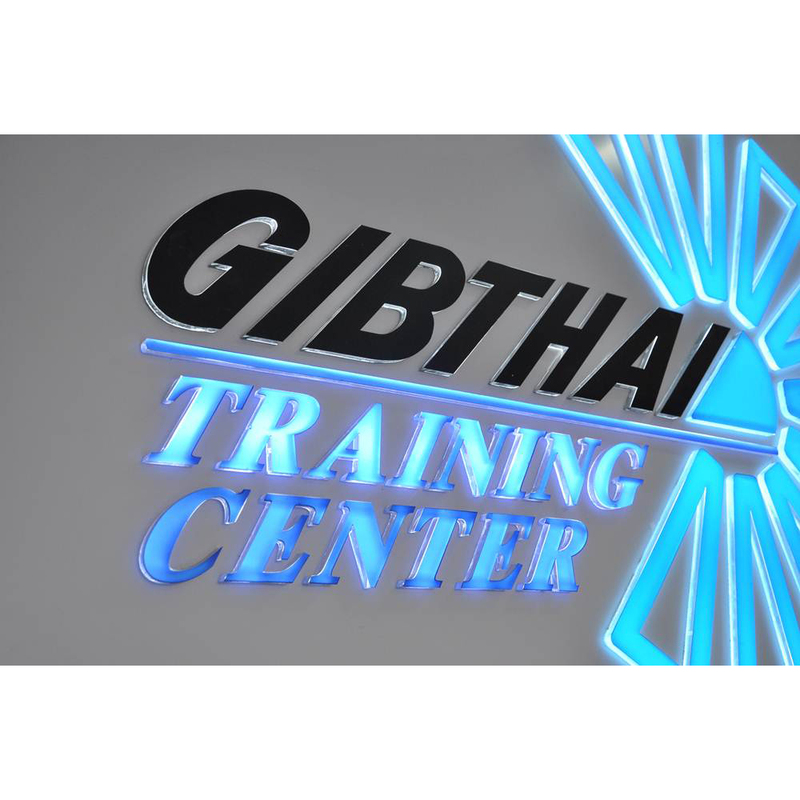 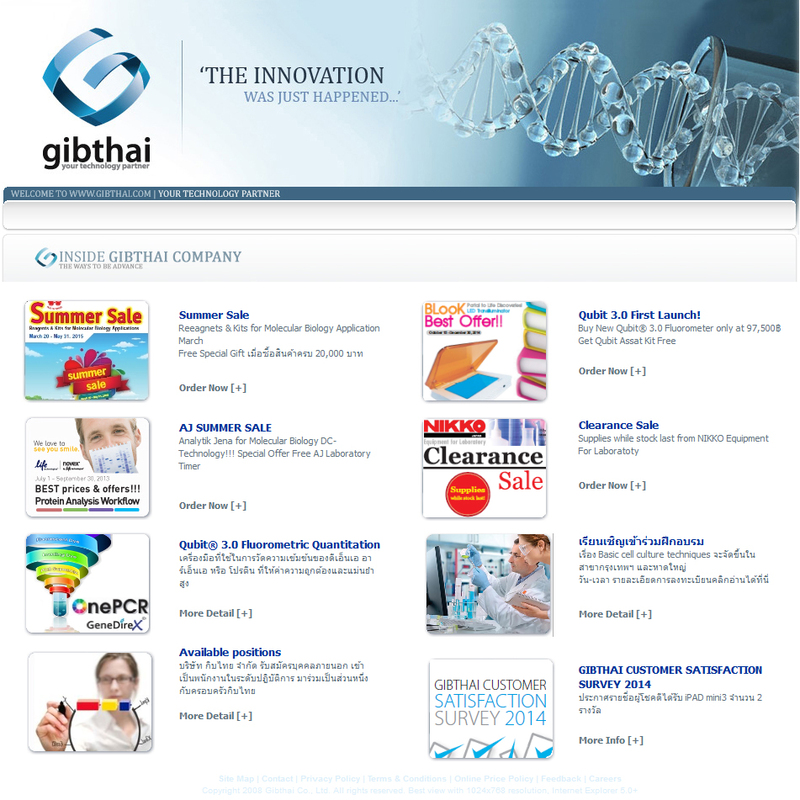 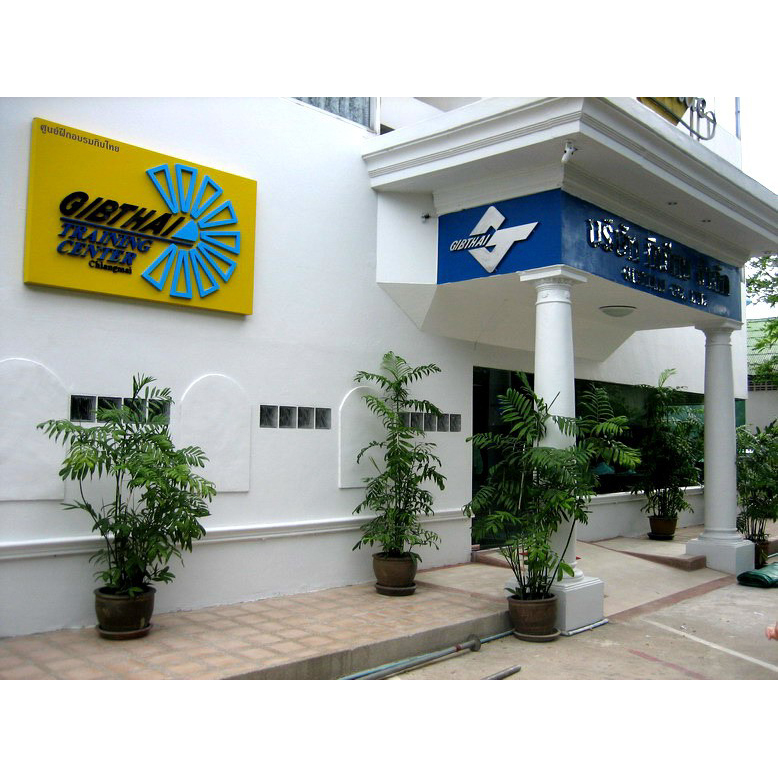 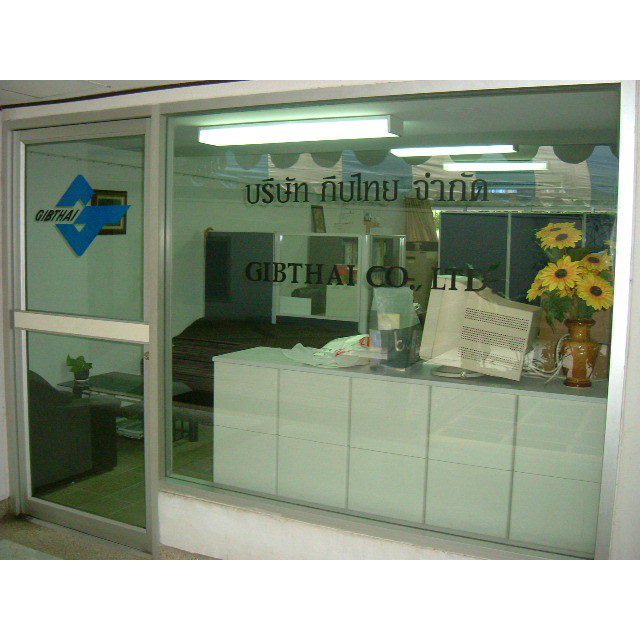 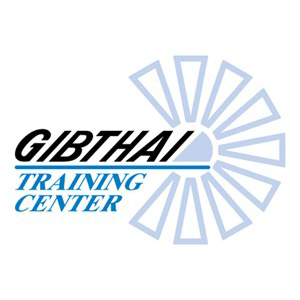 GIBTHAI Co. Ltd. was founded in 1985 as a distributor of scientific products in the field of life science research. 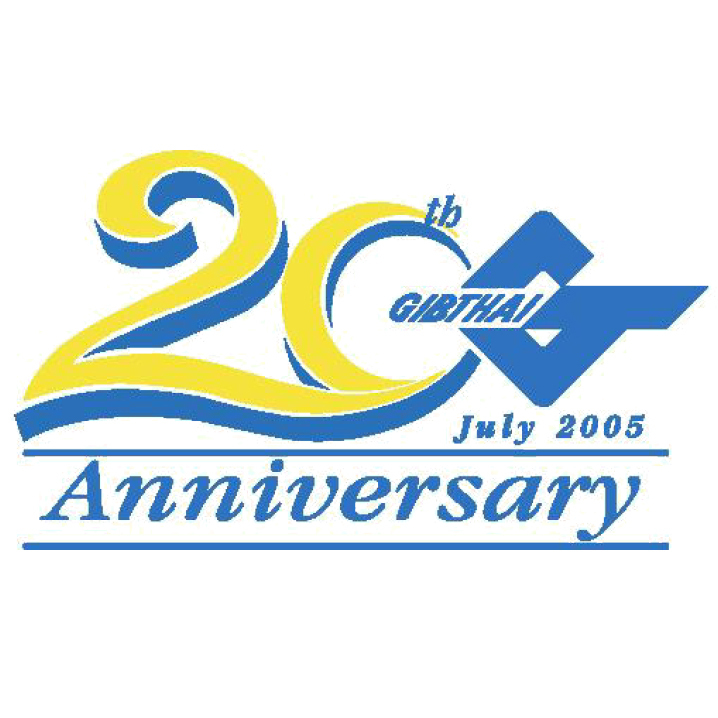 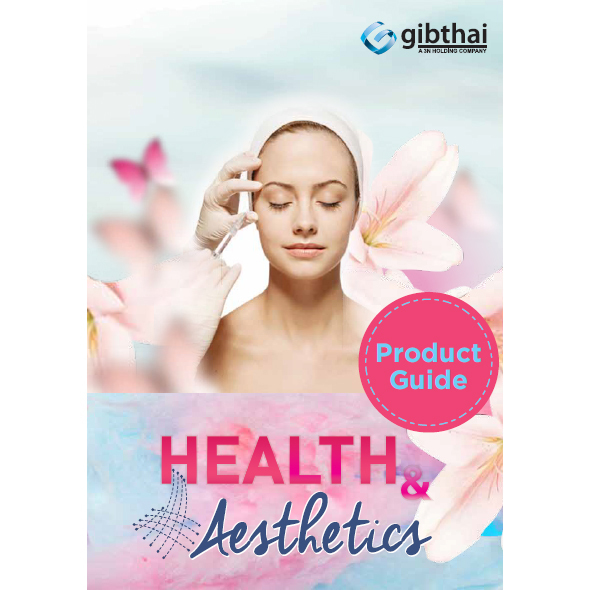 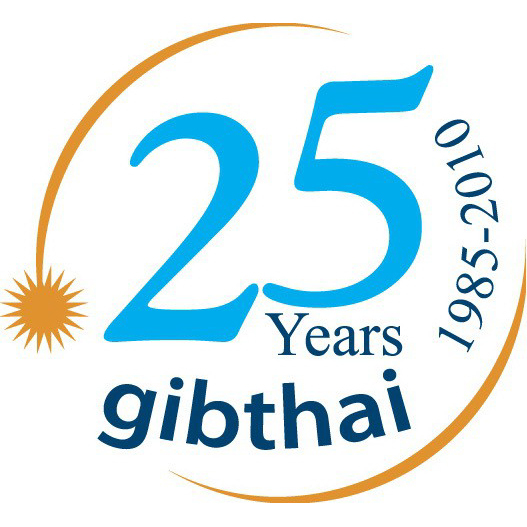 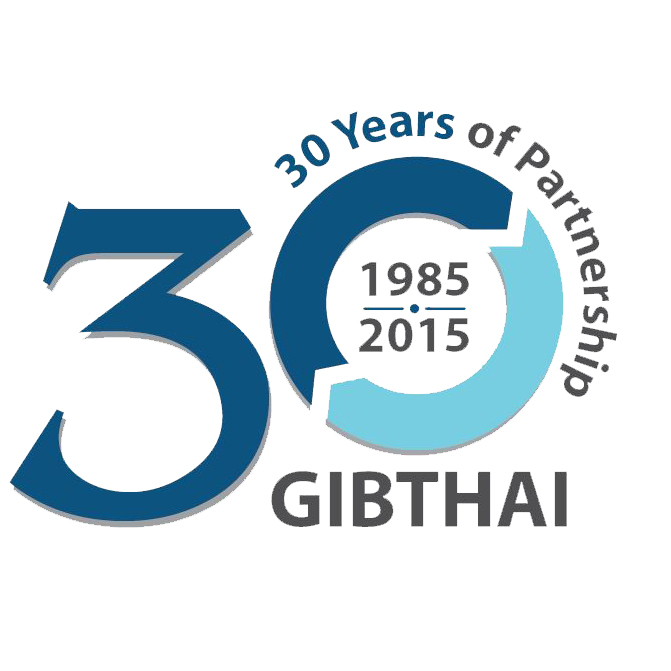 For 30 years, Gibthai expands and coverage to others field including biotechnology, clinical, industry, and healthcare to various laboratories in universities, research institutes, hospitals, government organization as well as many industrial manufacturers and medical research and diagnostics labs. 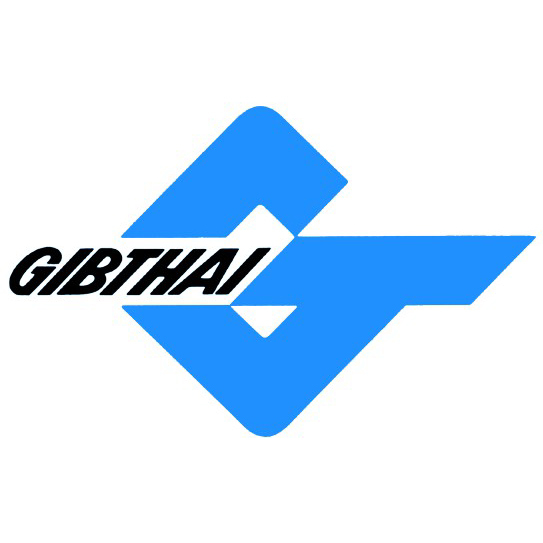 Gibthai strives to offer more of what people are looking for, we now represent high quality products more than 70 brands from global suppliers all over the world. 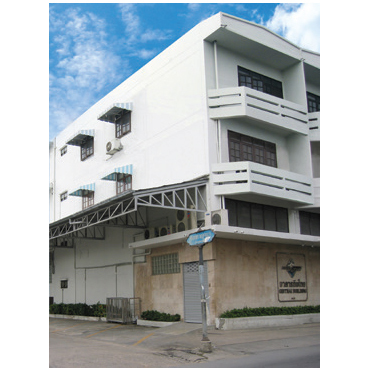 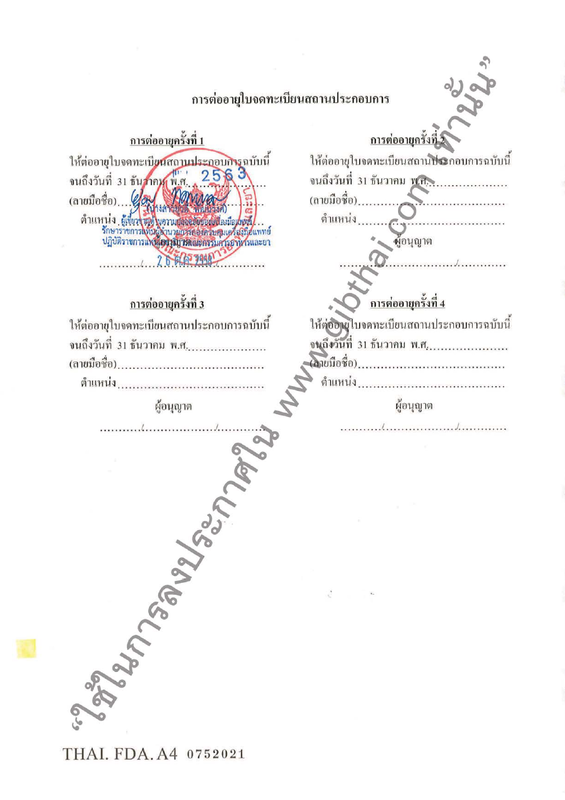 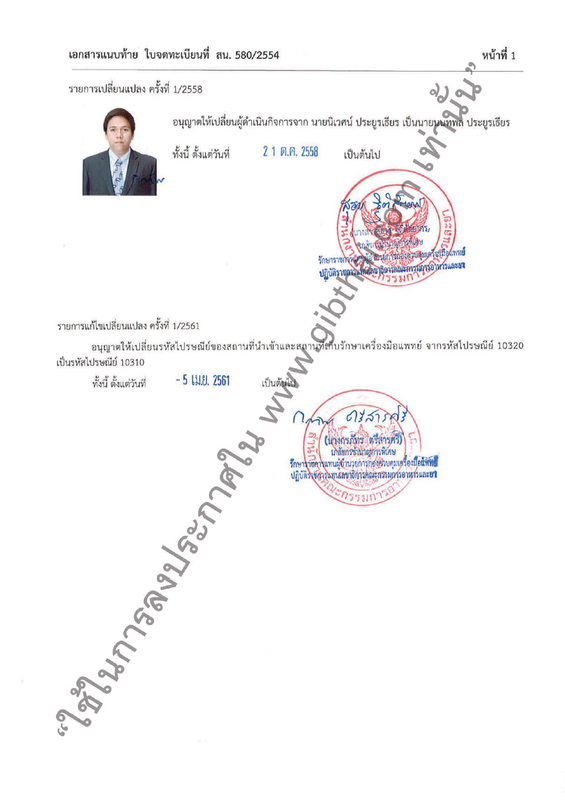 With the continually growing potential of scientific research and development in Thailand, Doctor Calibration Co., Ltd., Lab Leader Co., Ltd. and Daihan Scientific (Thailand) Co., Ltd. have been established consecutively to serve the customer more product offerings and value-added services under "3N Holding Group". 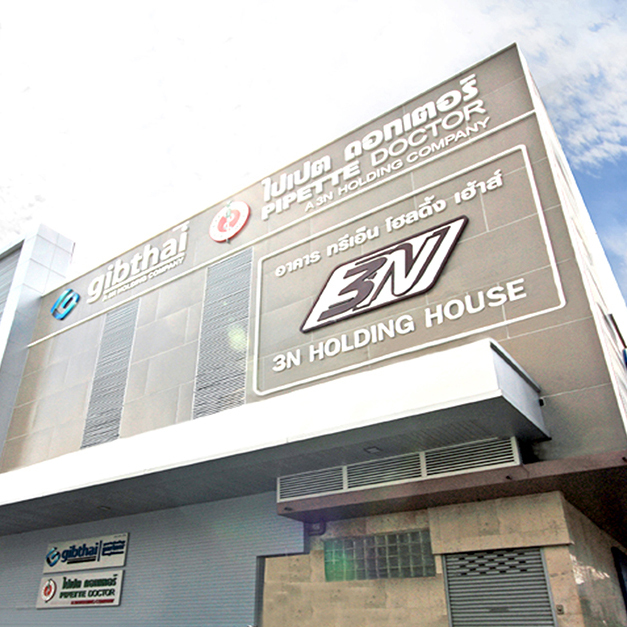 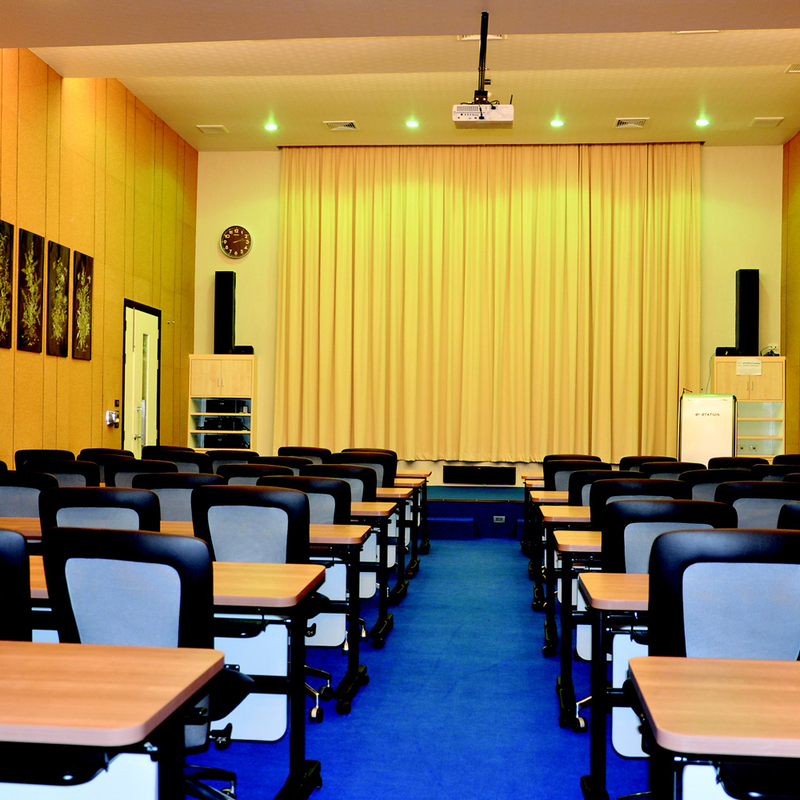 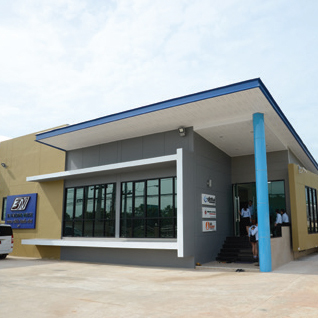 In 2014, to increase the highest efficiency in servicing our customer, we have restructured the organization by getting the 3N Holding Co., Ltd. to be the comprehensive service and support center which aims to enhance overall customer service, distribution capability, after-sale-service, technological training as well as introducing marketing activities to the customer of all affiliated companies. 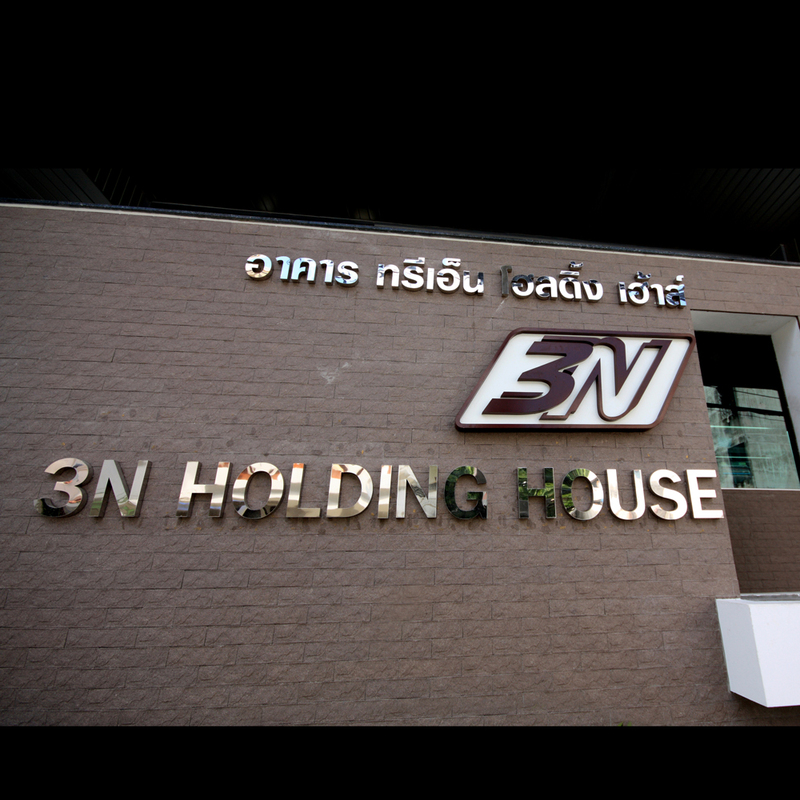 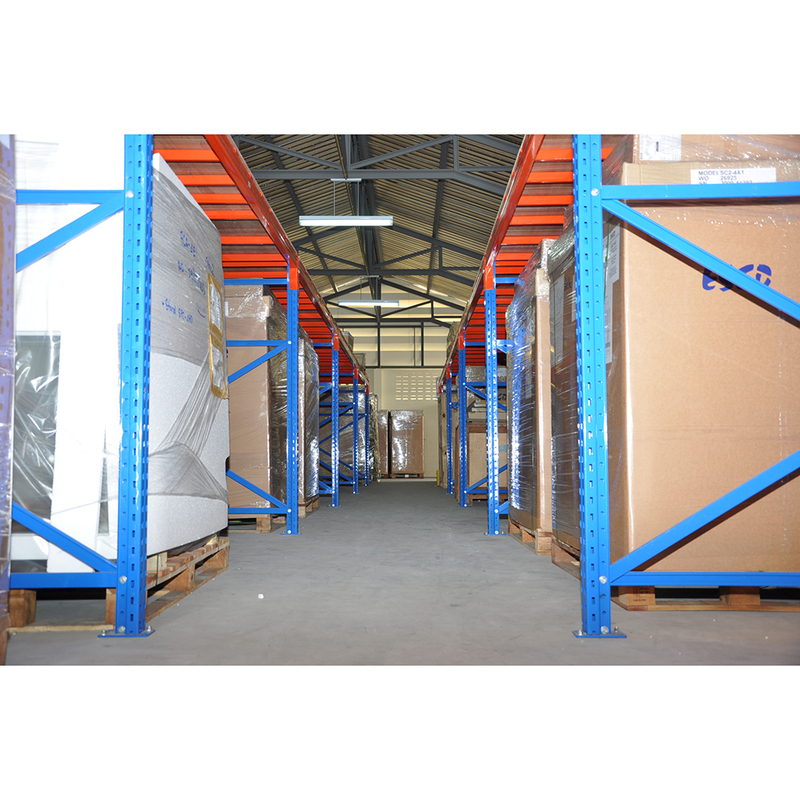 At 3N Holding Group, earning customers' trust through offering them the best products and services to meet their needs is an honor and a source of pride. 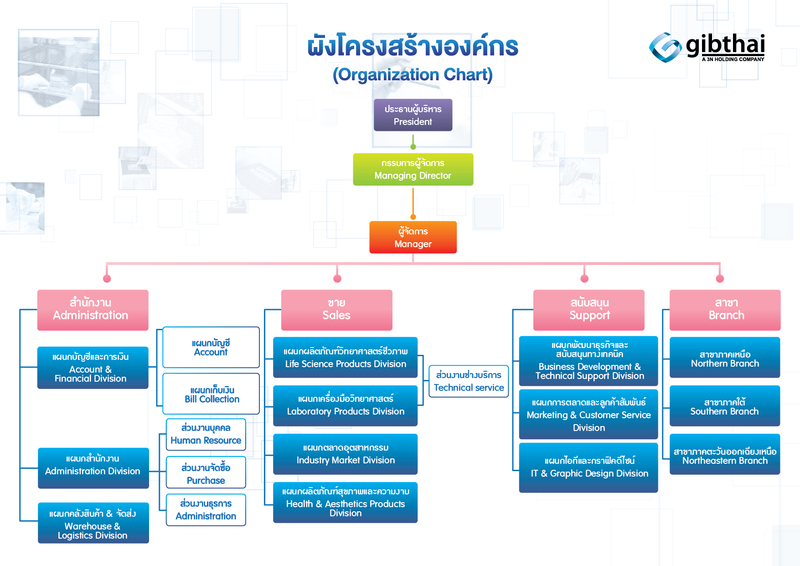 We promise to continue to grow and strengthen our company's foundation, so that we can continue to make a positive contribution to the science community throughout the region. 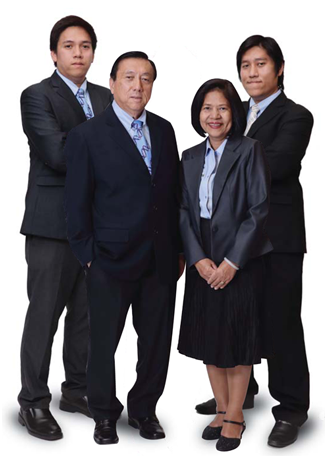 We are also dedicated to improving the quality of our employees, and contributing to a better tomorrow for our society as a whole.
" 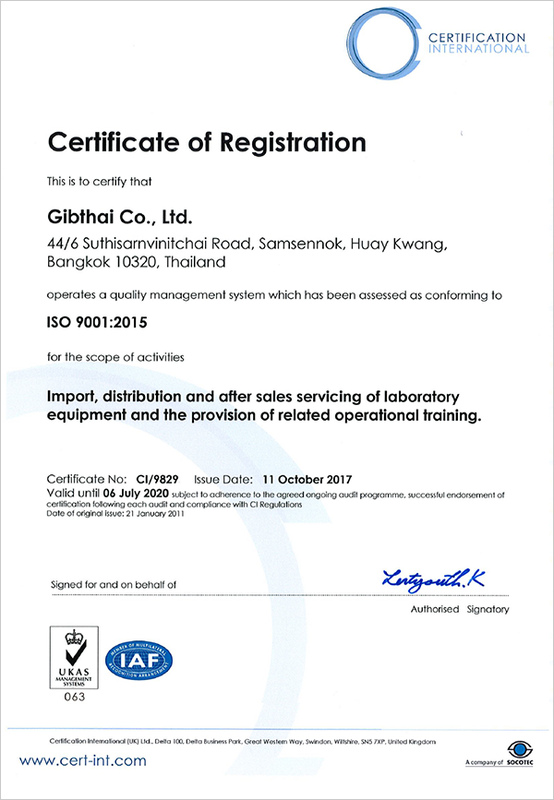 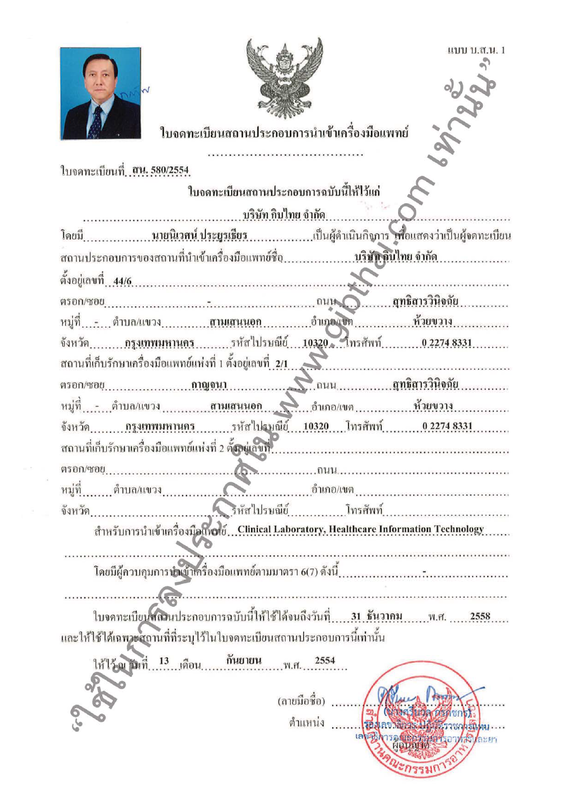 To be the most responsive distributor of biological reagents, reagent systems and apparatus used in research and diagnostic technology aplication in Thailand. 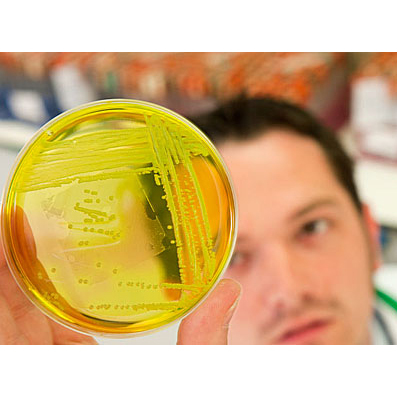 The concept of responsiveness refers to customer support, and providing value in supporting and offering molecular biology and workshop nationwide."